As some of you may know one of us sisters does food demonstrations at a local community centre and this is one of the recipes we made awhile back that the participants loved. We got this recipe from a newsletter by the Dietitians of Canada. Each serving has 35 g of protein. 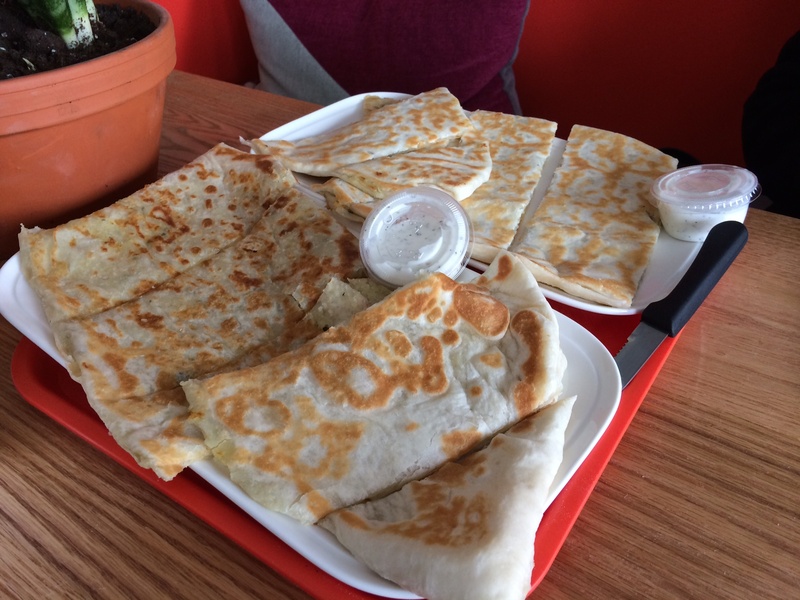 We used a bit of mayonnaise (shhh…) for when we made it just because we don’t like a dry tortilla. It you do use it, try to get the fat-free kind and use it sparingly. 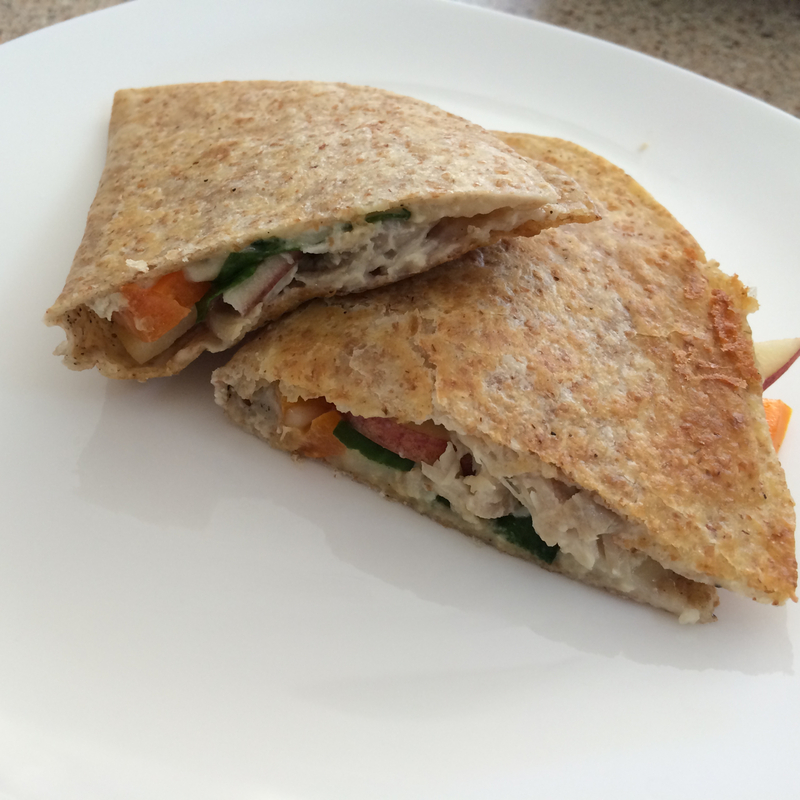 This recipe is quick to put together and we can assure you and your kids will enjoy it. We are not even fans of spinach, but in this recipe we loved it. 1) (Shh..Spread fat-free mayo sparingly on each tortilla). If you can skip it, then great. 2) Divide the cheese into eight portions. 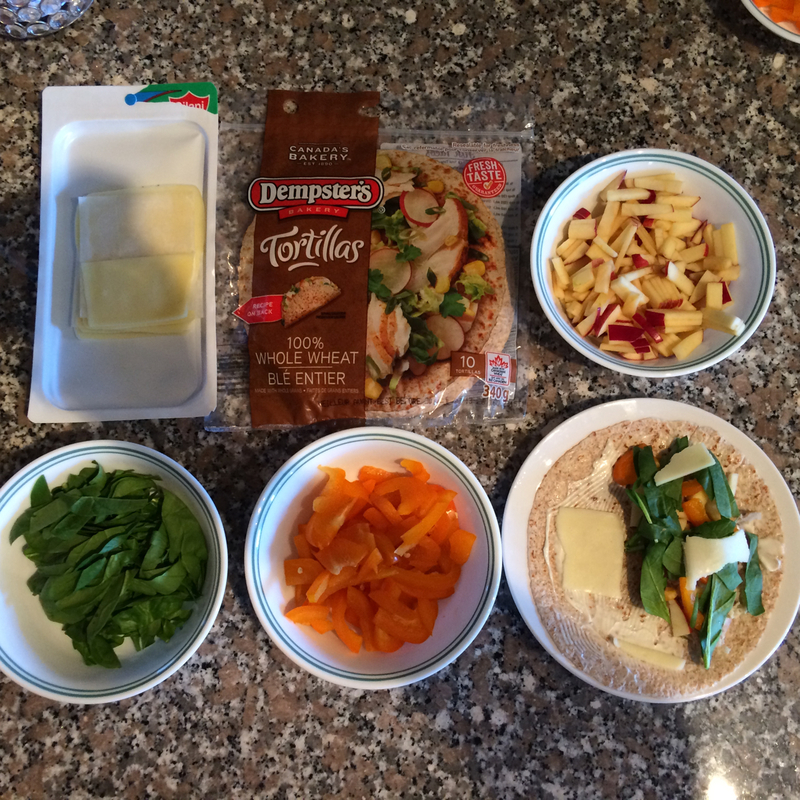 Place on portion of cheese on half of each tortilla. Top with chicken, spinach, pepper, apple and another cheese portion. 2) Fold uncovered half of tortilla over filling and press gently to seal. 3) Place a skillet over medium heat and add a little olive oil. Place one tortilla at a time in the pan and cook for 2 minutes until browned. Flip and cook the other side for 2 additional minutes. Categories: Recipes | Tags: Chicken Quesadilla, dinner, Easy Recipe, Halal Food, Halal Food Blog, Halal Food Enthusiasts, Halal Food Review, Halal Recipe, Healthy Recipe, Iftaar Ideas, lunch, Quesadilla Recipe, Ramadan, Ramadan Recipe Ideas, recipe, Snack, Tortillas | Permalink. 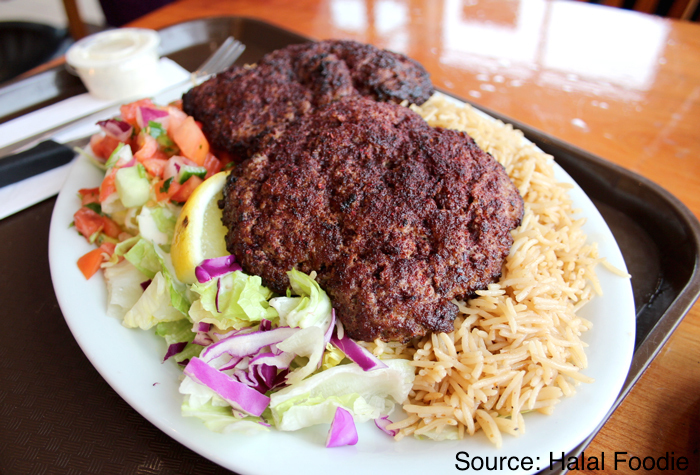 Check our review of Watan Kabob on Halal Foodie. 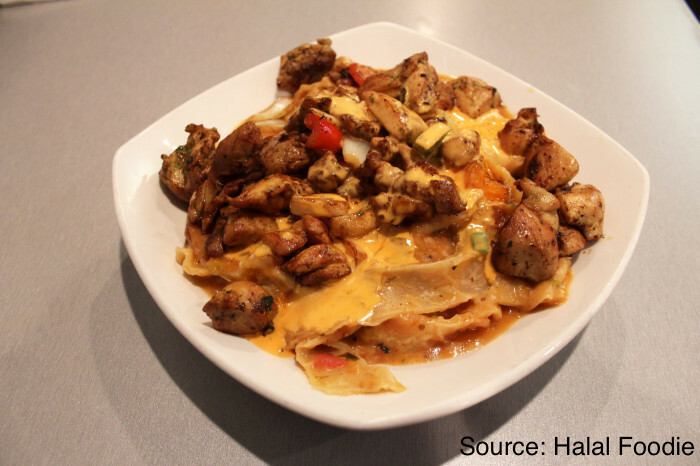 Categories: Restaurant Reviews | Tags: Afghan Cuisine, Afghan Food, Boulagnee, Chaplee Kabob, dinner, Halal, Halal Beef, Halal Chicken, Halal Food, Halal Food Enthusiasts, Halal Food Mississauga, Halal Food Review, lunch, Mississauga, Mississauga Restaurants, Naan, Tandoori Chicken, Watan Kabob, Watan Kabob Missisauga | Permalink. ATTENTION: THIS RESTAURANT HAS CLOSED DOWN. 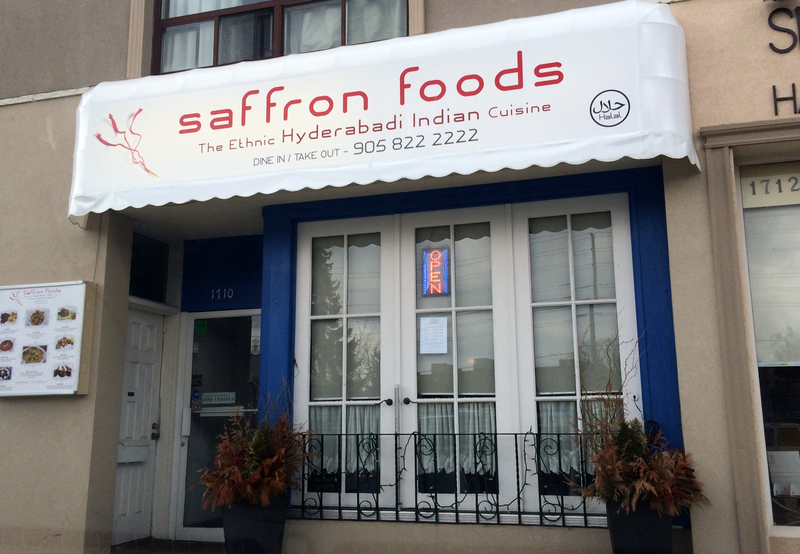 Excited by the idea of the first authentic Hyderabadi restaurant in the GTA, we were uber excited to visit Saffron Foods when it first opened up a few months ago. We have a few Hyderabadi friends and we always enjoy eating food at their homes. Some of our favourites are Khatti Daal, Red Chicken and Double Ka Meetha. The interior of the restaurant had an old world feel to it. Ethnic wall hangings, pictures of historic buildings and historic looking decor pieces. We looked at the menu and were eager to find our favourite items on there. 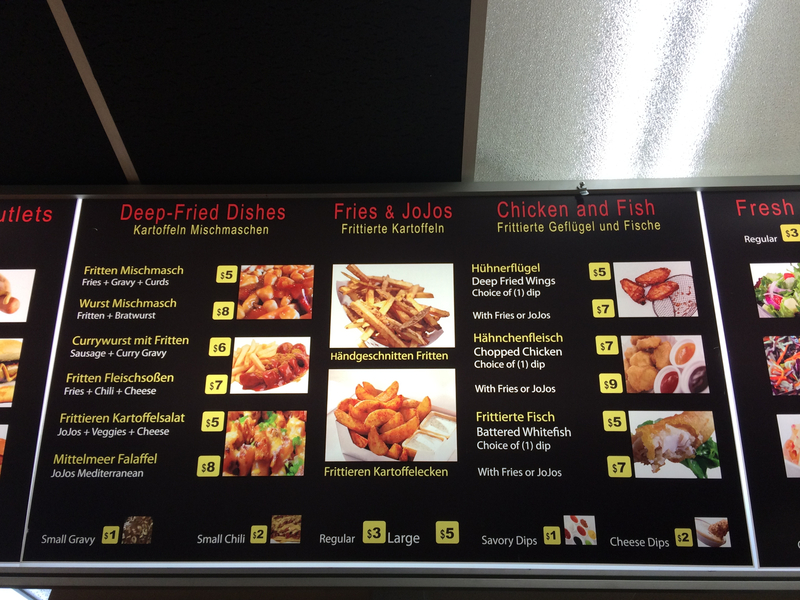 The menu was modest and, unfortunately, had none of the items we were looking forward to. 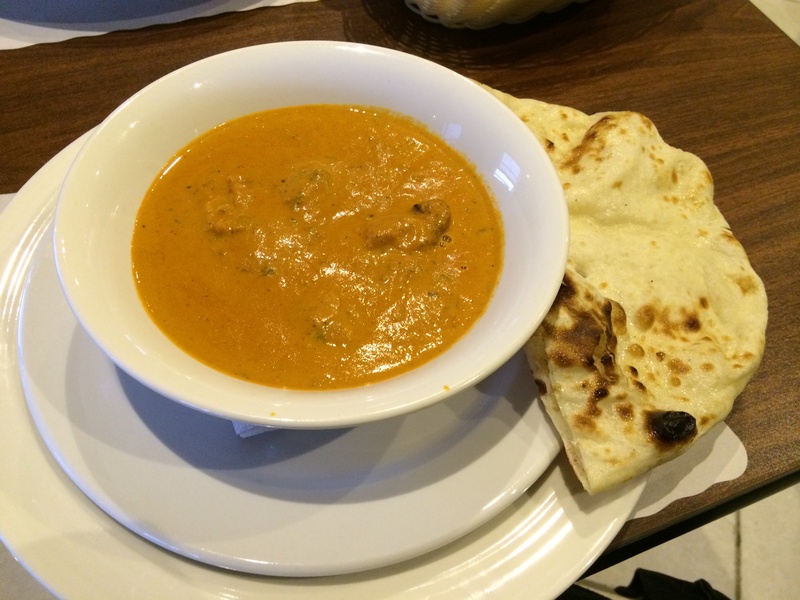 To us, the menu seemed to mostly have the usual Indian dishes: butter chicken, palak paneer, chicken tikka. That didn’t seem too Hyderabadi to us, but maybe these dishes had a Hyderabadi touch to it? Trying really hard to pick Hyderabadi items, we decided to order Yoga Chicken (never heard of it before) and Chicken Dum Ki Biryani, along with Garlic Naan. The Biryani came with Bagharey Baigan and Raita. 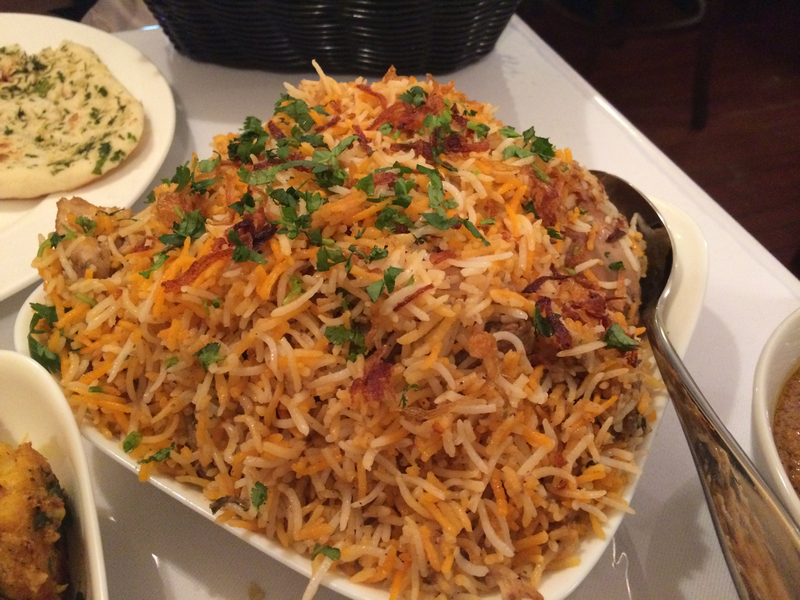 The Chicken Dum Ki Biryani was very mild in terms of both flavour and spice level. The raita complimented it well. 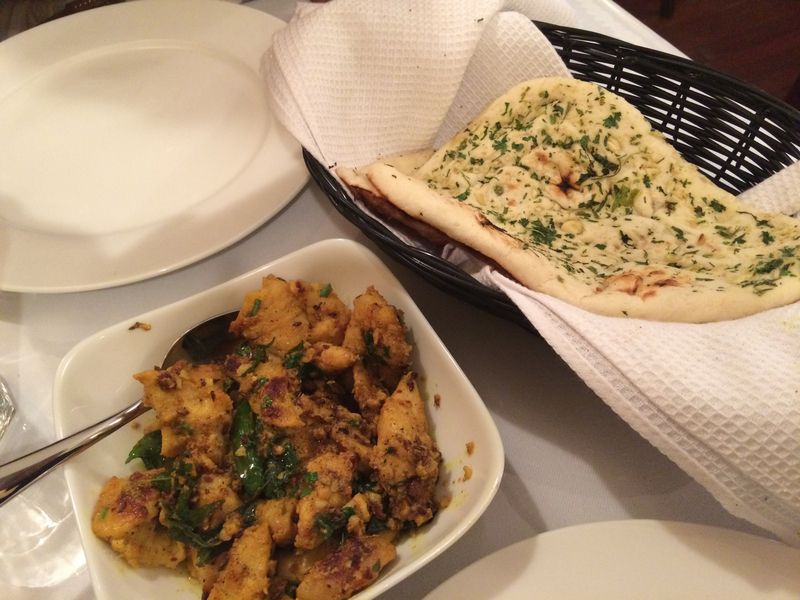 We really enjoyed the Bagharey Baigan though! 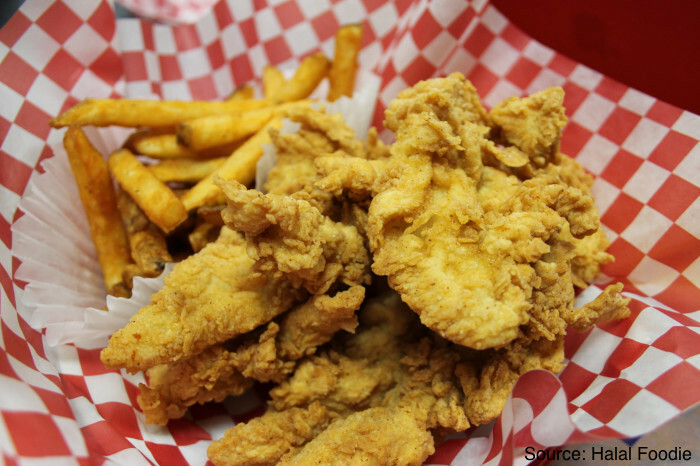 The Yoga Chicken was the best item we tried. 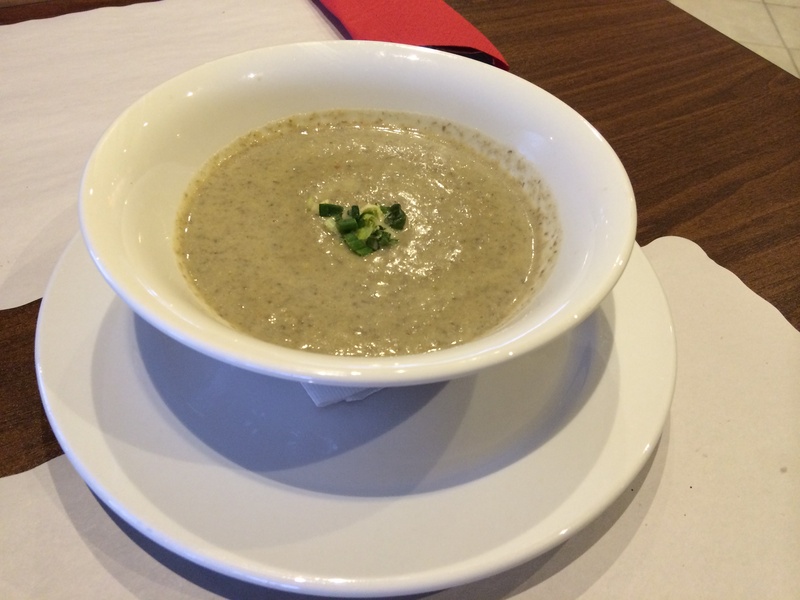 It had the Hyderabadi flavours we were familiar with. It had that certain “bhagar” that we know is done to many of the dishes with karri patta, turmeric, zeera and coriander seeds. 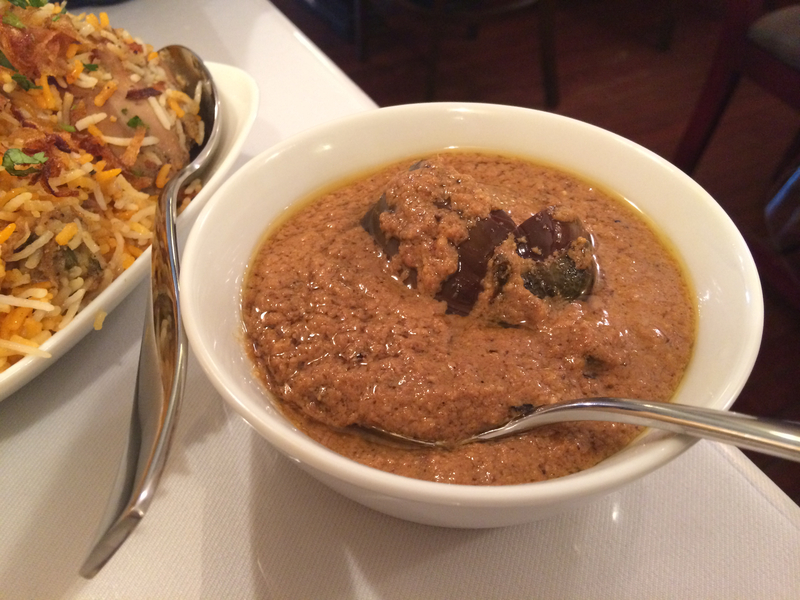 This dish really satisfied our Hyderabadi food craving. 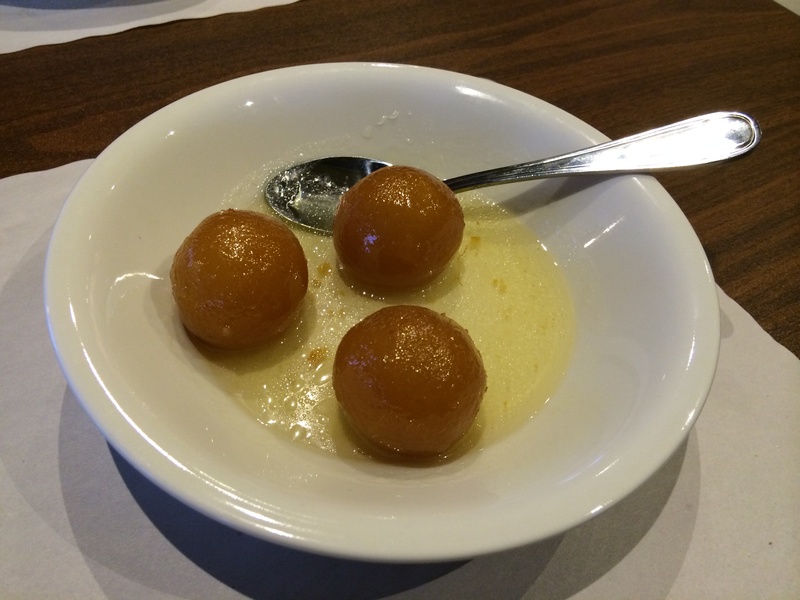 Overall, we enjoyed our dining experience at Saffron Foods. We do wish that the menu would offer more Hyderabadi dishes. Categories: Restaurant Reviews | Tags: Bagharey Baigan, dinner, Halal, Halal Chicken, Halal Food, Halal Food Enthusiasts, Halal Food Mississauga, Halal Food Review, Halal Restaurant Mississauga, Hyderabadi Biryani, Hyderabadi Cuisine, Hyderabadi Food Toronto, lunch, Saffron Foods, Saffron Foods Hyderabadi Cuisine, Saffron Foods Mississauga, Yoga Chicken | Permalink. 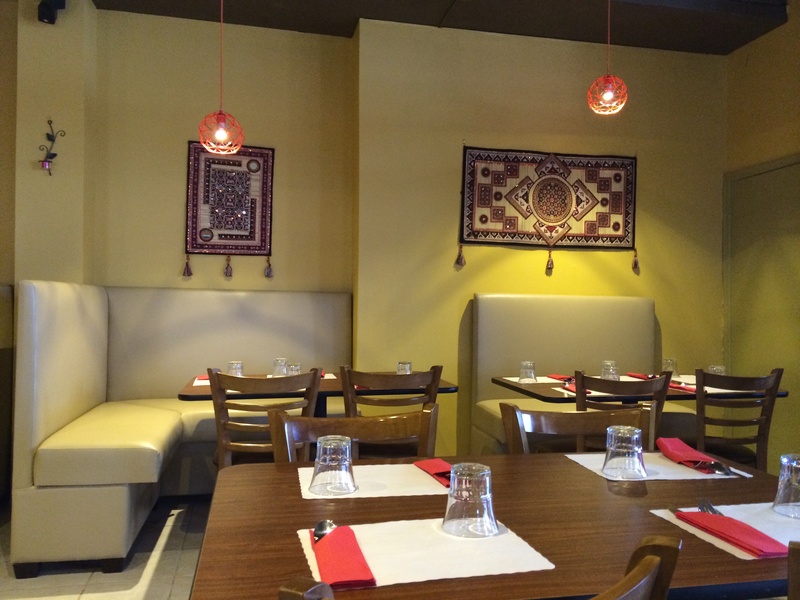 Our favourite Afghan restaurant, Naan & Kabob, has opened a second location in Mississauga. 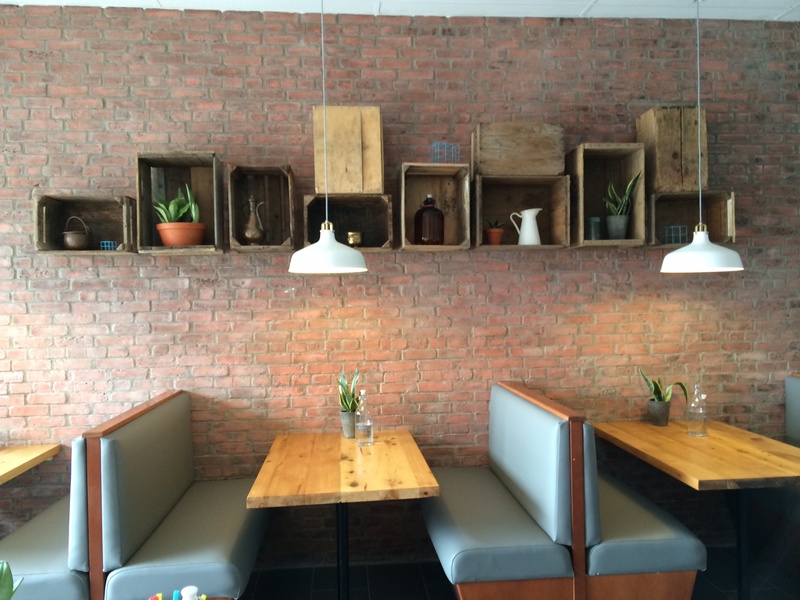 We were ecstatic when we found out and were delighted with the spacious new restaurant. 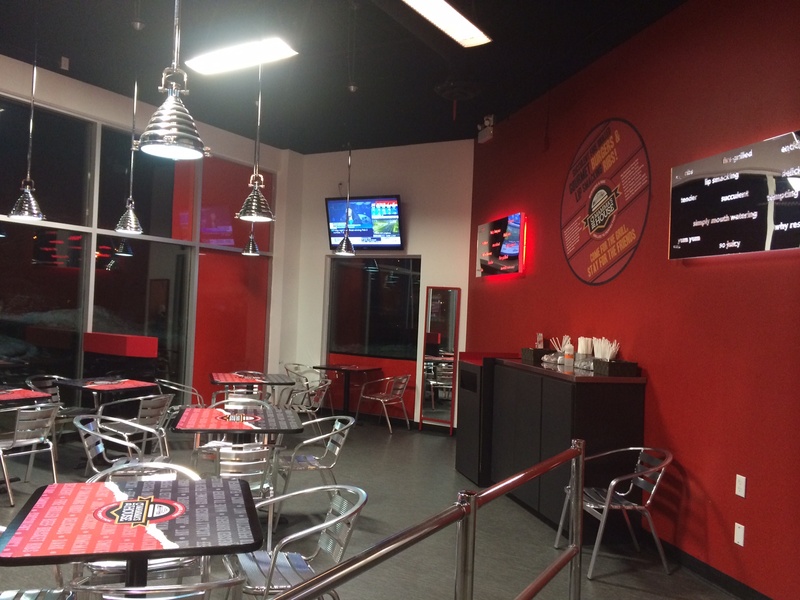 The decor was kept consistent with the Scarborough location but it was kicked up a notch. We really like the fresh look. The water bottles were super cool. We first thought they were for decor only but were told they were actual water pitchers. The section at the back of the restaurant was beautiful. 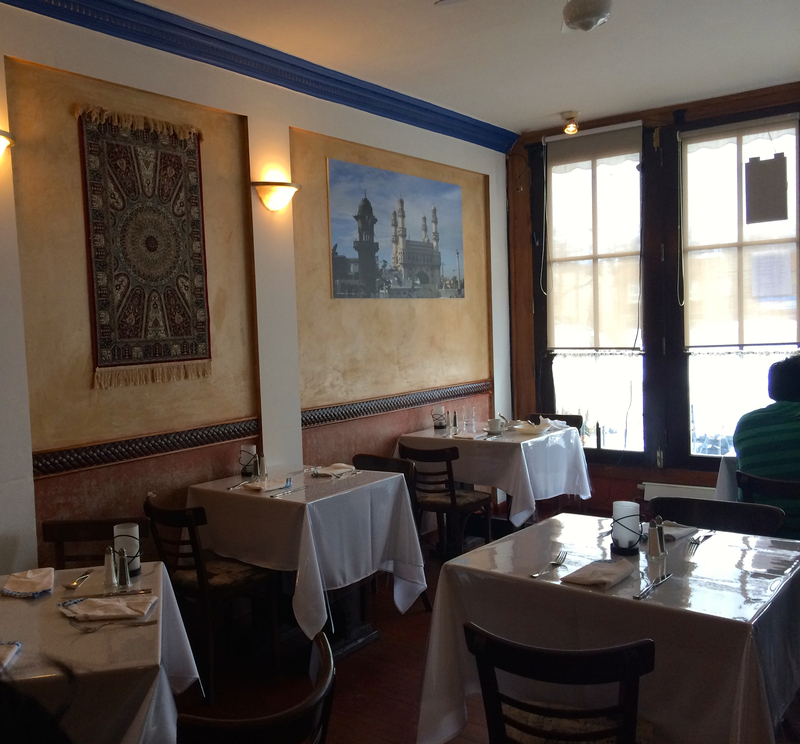 The mural was a great touch and brought in Afghan culture to the restaurant. 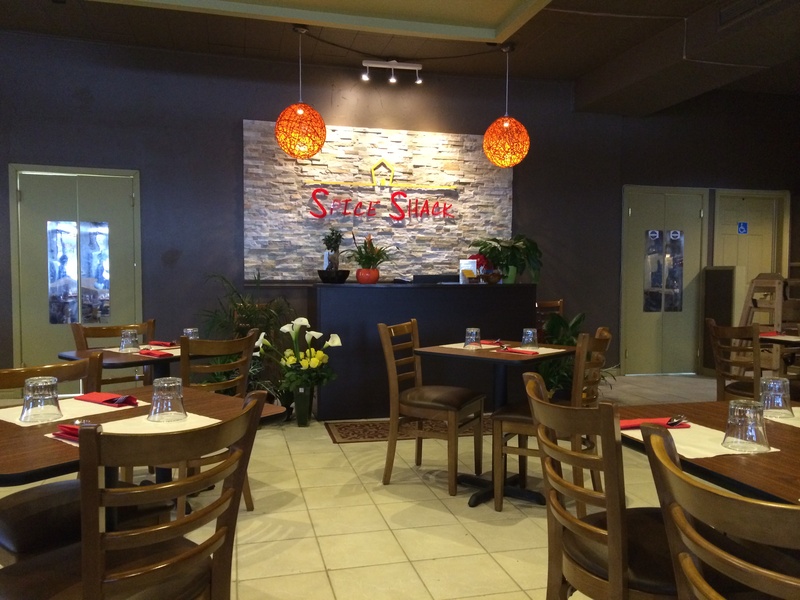 Compared to the Scarborough location, the new restaurant has A LOT of seating, which was fantastic. We ordered our favourite Bolanee, which was scrumptious. It is basically a pan fried bread stuffed with potatoes. 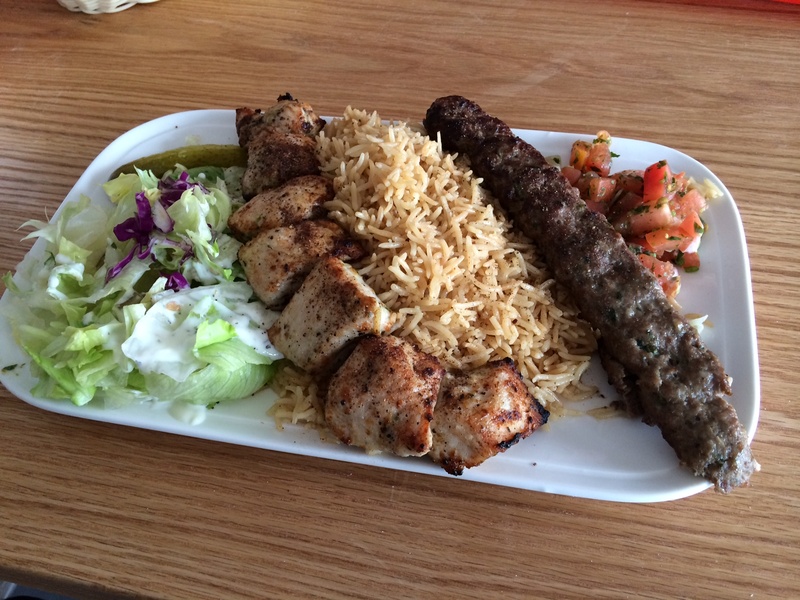 We also tried the Waziri Kabob Plate with rice and naan. It has one skewer of chicken kabob and one skewer of shish kabob. The kabobs were juicy and full of flavour. 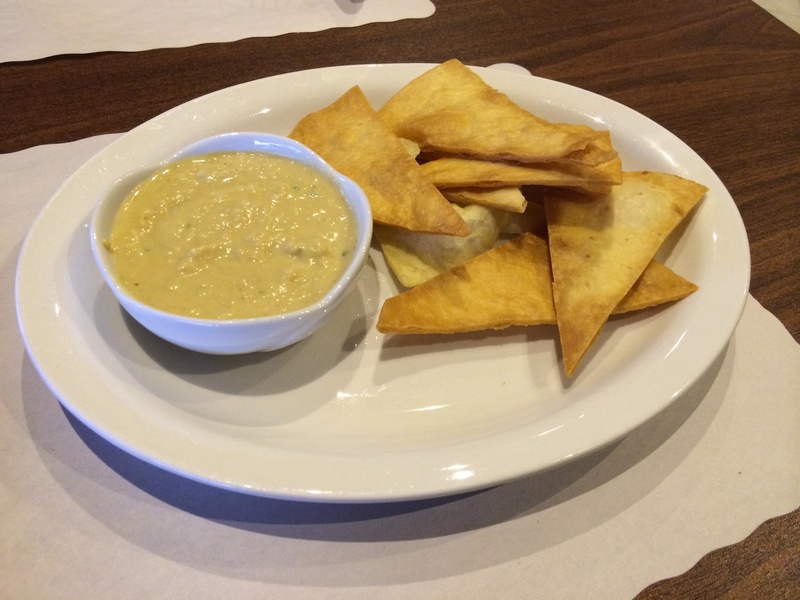 We highly recommend trying this dish. Categories: Restaurant Reviews | Tags: Afghan Cuisine, Afghan Food, Bolanee, Chicken Kabob, dinner, Halal, Halal Afghan Food, Halal Beef, Halal Chicken, Halal Food, Halal Food Enthusiasts, Halal Food Review, Halal food toronto, lunch, Mississauga, Naan & Kabob, Naan & Kabob Mississauga, Shish Kabob, Waziri Kabob | Permalink. 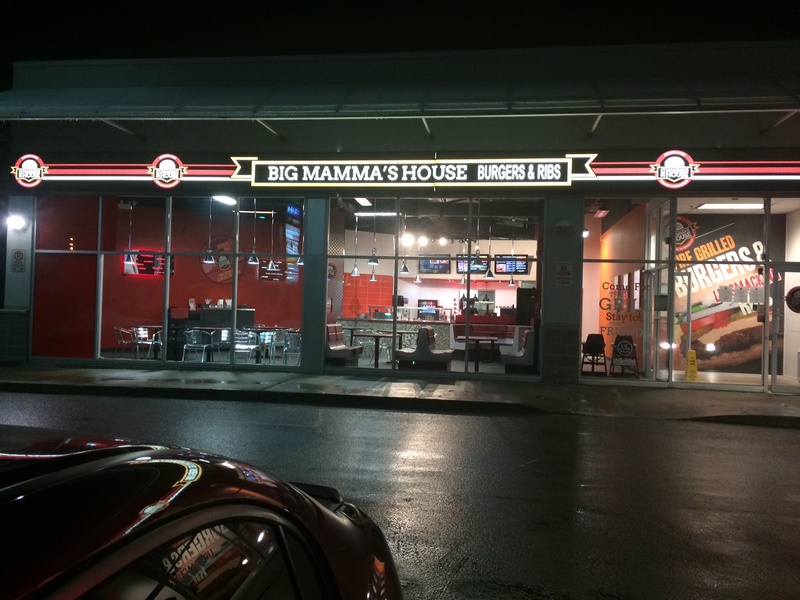 We have been wanting to try Big Mamma’s House – Burgers & Ribs since we heard about it at the Halal Food Fest. Unfortunately, we couldn’t try it at the Halal Food Fest due to long lineups and along with the fact that it was pouring that afternoon. Since we were in the Durham area recently , we decided to try it out. The Big Momma’s House burger: This burger was well enjoyed by our guest who was looking forward to a double beef patty burgers. All the ingredients gelled well, that made the burger quite flavourful. 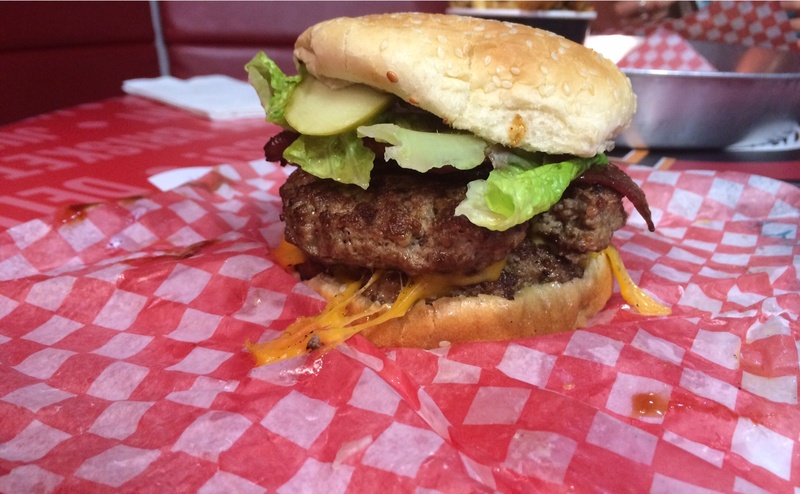 The Big Spice: This was one of the burgers we were very much looking to try. 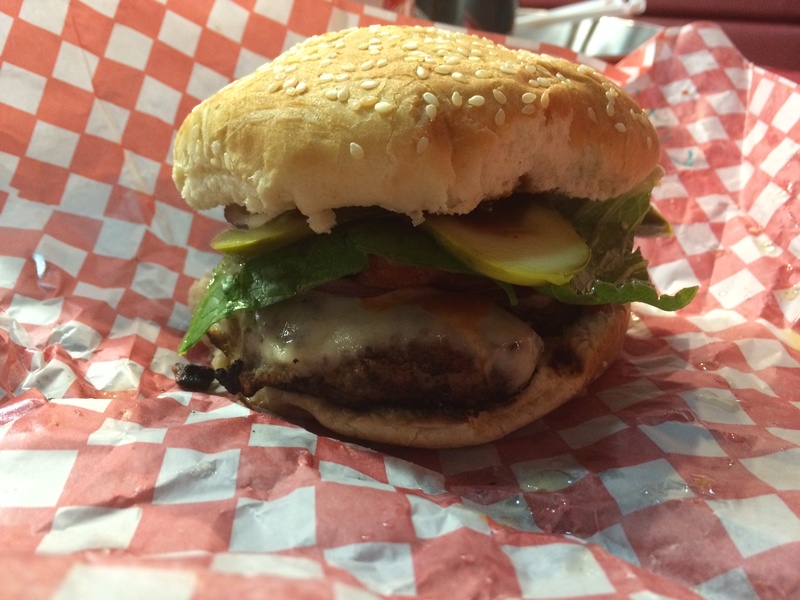 We found this burger just as delicious as the preceding burger. 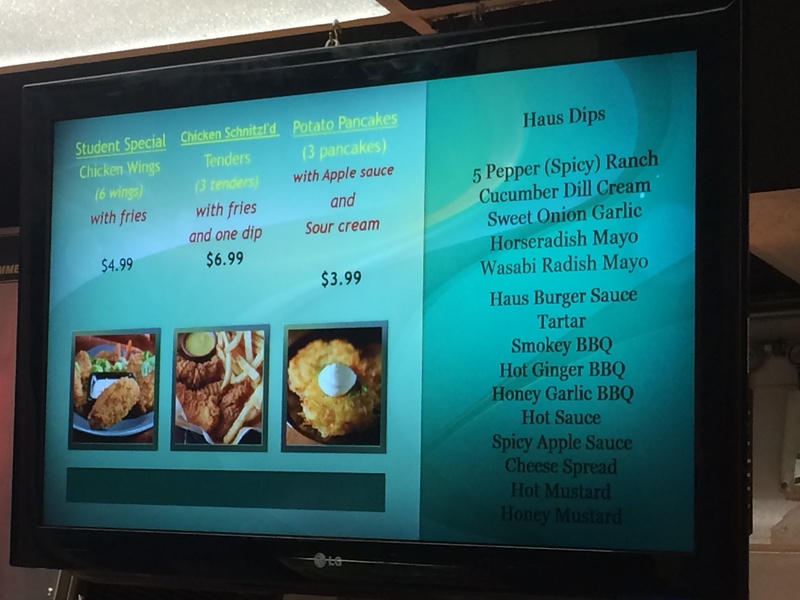 The menu is expansive you can be assured that hopefully everyone. 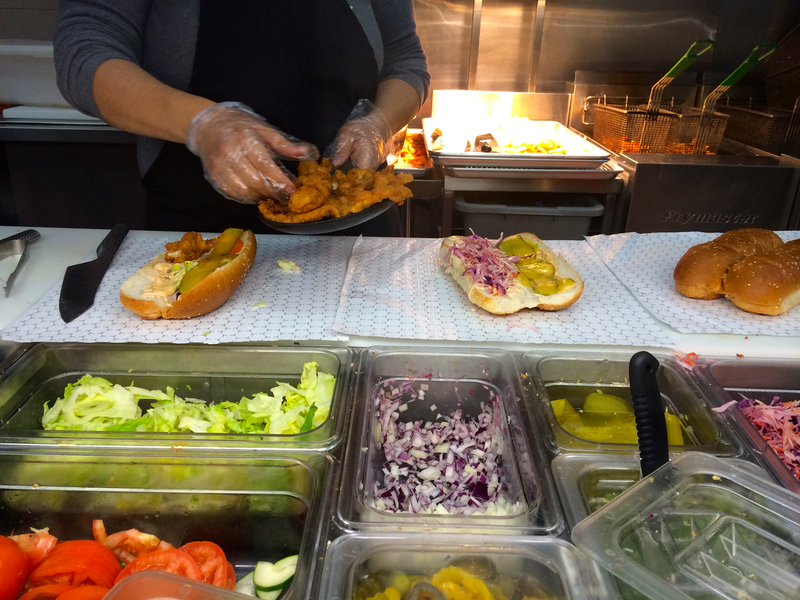 We could tell within the first few bites that the burger patties were made from scratch and prepared right in front of us. 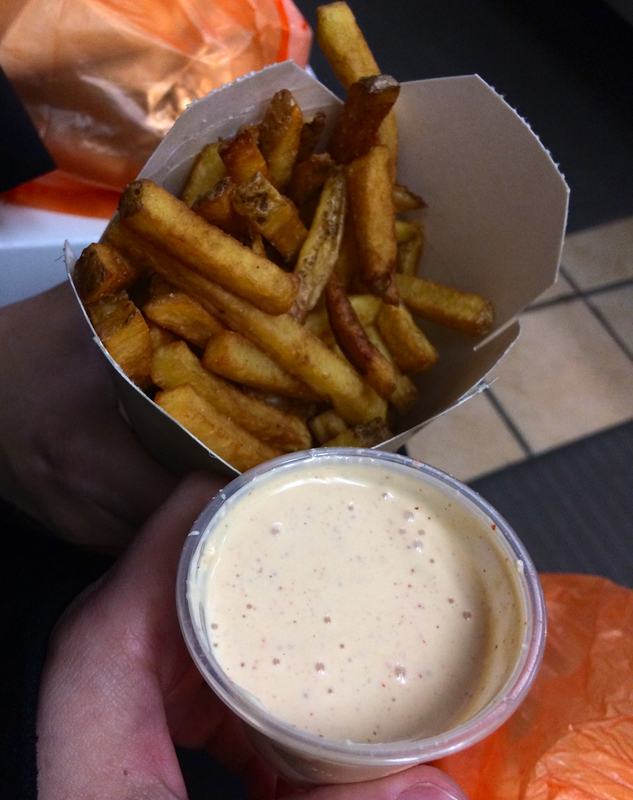 We tried their fries and loved the fact that they were hand cut with some skin still on. 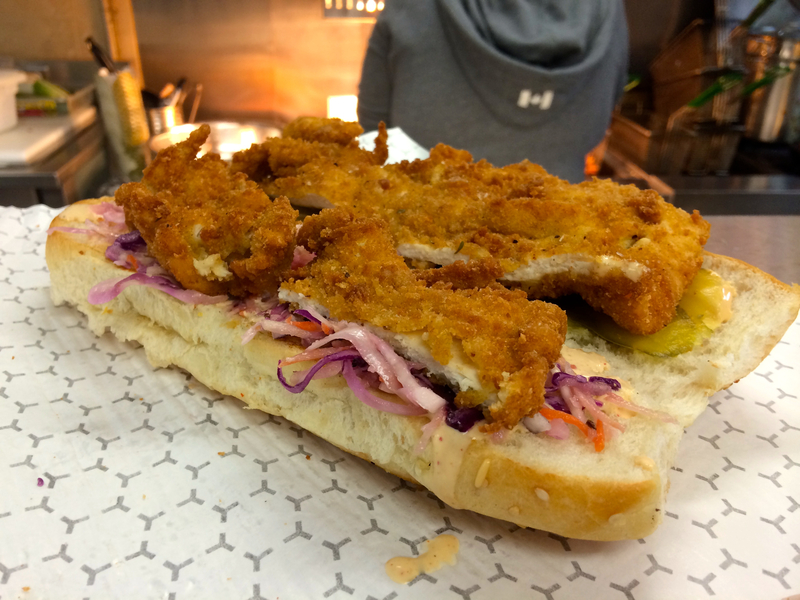 One word: tasty. 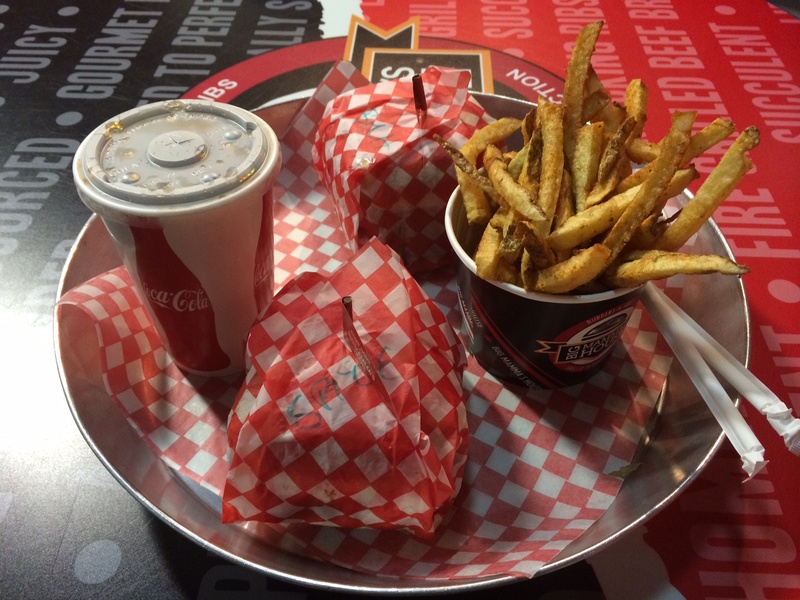 There are now gourmet burger joints all across GTA and if you happen to be in Pickering, Ajax and Whitby area, you should try out this burger joint. 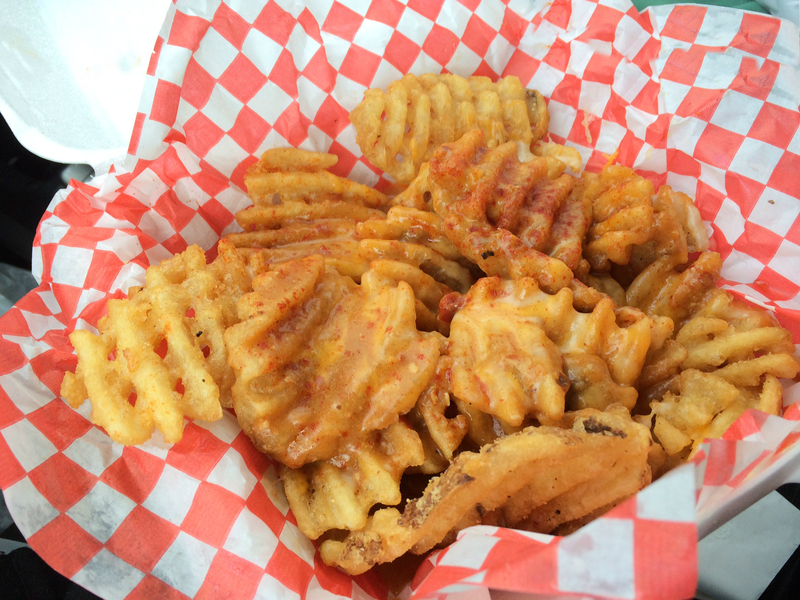 Categories: Restaurant Reviews | Tags: Ajax, Big Mamma's House, Burger, Burger Joint, Burgers and RIbs, canada, Chicken, dinner, Durham Region, fries, GTA, Halal, Halal Burger, Halal Burgers, Halal Chicken, Halal Food, Halal Food Enthusiasts, Halal Food Review, Halal food toronto, Halal Restaurant, lunch, North American Food, poutine | Permalink. 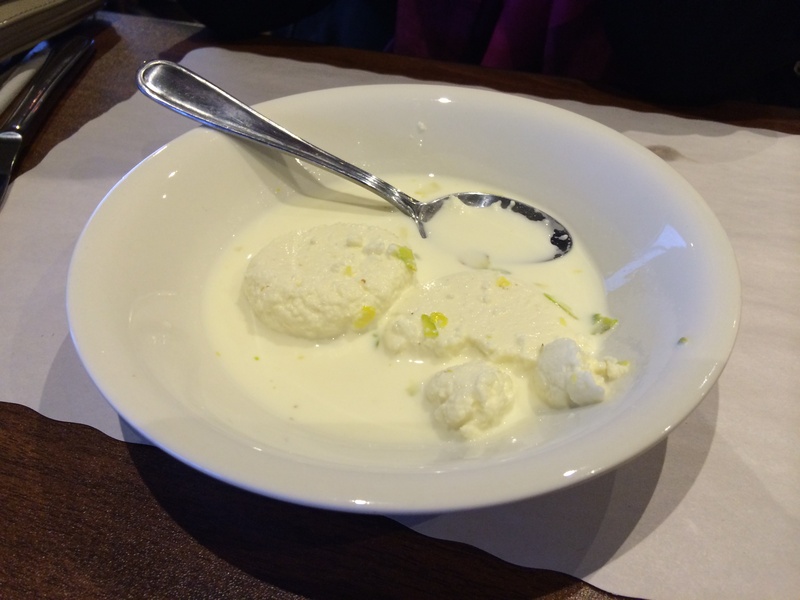 Check out our review of Mushkaki on Halal Foodie. 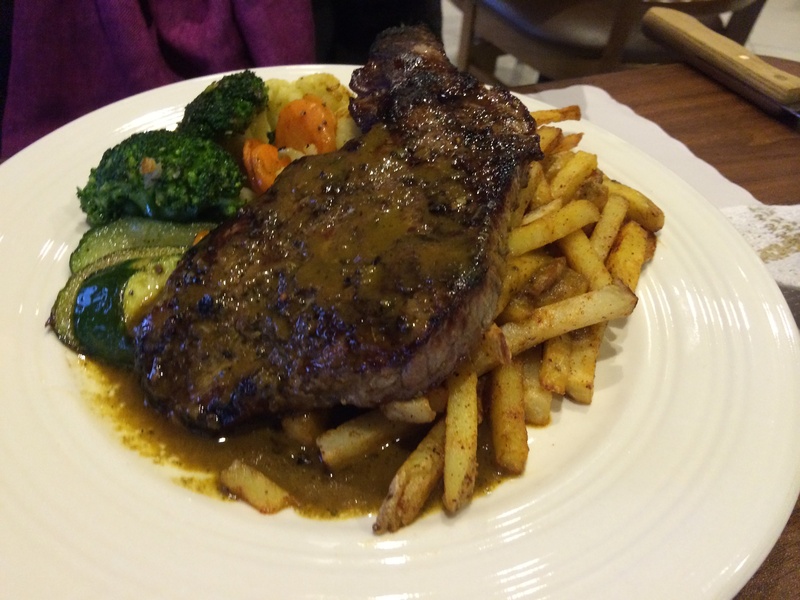 Categories: Restaurant Reviews | Tags: Burger, canada, Chicken, dinner, Etobicoke, fries, GTA, Halal, Halal Chicken, Halal Food, Halal Food Enthusiasts, Halal Food Review, Halal food toronto, Halal Fusion Cuisine, Halal fusion food, Halal Restaurant, lunch, Mushkaki, Mushkaki Etobicoke, Mushkaki Review, Pasta, Toronto | Permalink.